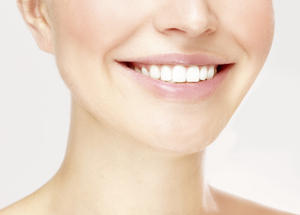 Would you like to enhance the appearance of your smile and boost your confidence in the process? If yes, Michelson’s Dental Surgery offers several cosmetic options in Wangaratta. Whitening can enhance the natural shade of your teeth, making it perfect as a stand-alone treatment, or in combination with one of our other cosmetic options. Either porcelain or chairside composite veneers can positively transform the way your teeth look. Veneers cover the visible surface of each tooth, creating a smile that is straighter, brighter and appropriately shaped. Using porcelain materials that resemble natural tooth structure and colour, we can recreate the appearance of beautiful, healthy teeth. Your treatment plan will be customised to your specific smile, tooth by tooth. Improving the aesthetics of your smile can help you to feel more comfortable in social settings like work, around family, or when meeting new people. If you feel embarrassed about the way your teeth look, you may be hesitant to laugh, smile or talk in public. Let our dentists help you change that! Our cosmetic options are tailored to the unique needs and priorities of your individual smile. Whether it’s correcting stained and discoloured teeth or making your smile appear straighter, our Wangaratta dentists have options for just about everyone.